I got this kimono last year but haven't worn it yet. 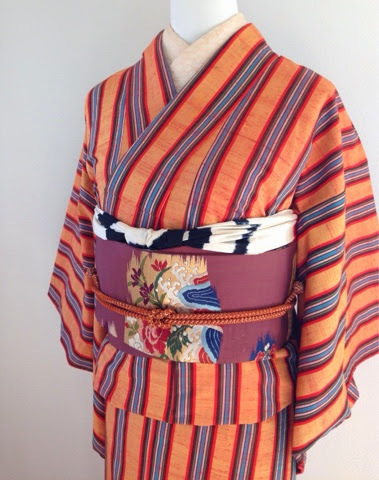 It's a very nice silk tsumugi and I simply love the stripes. 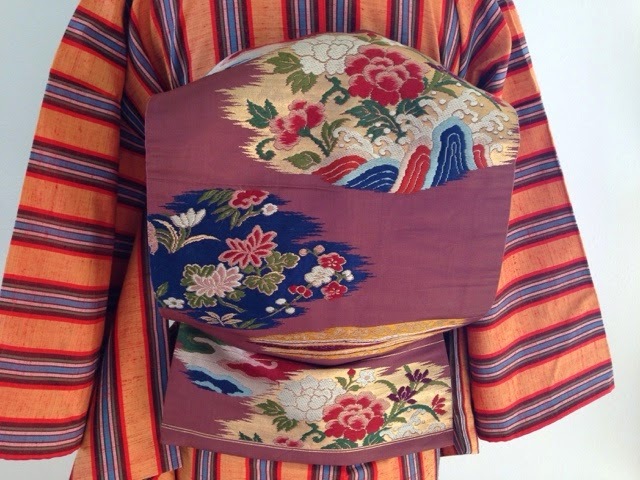 I paired it up with a vintage Nagoya obi. It's pretty short so I might convert it into a tsuke obi at some point. The obiage has both red and black stripes , but all the red stripes are hidden in the back under the obi.